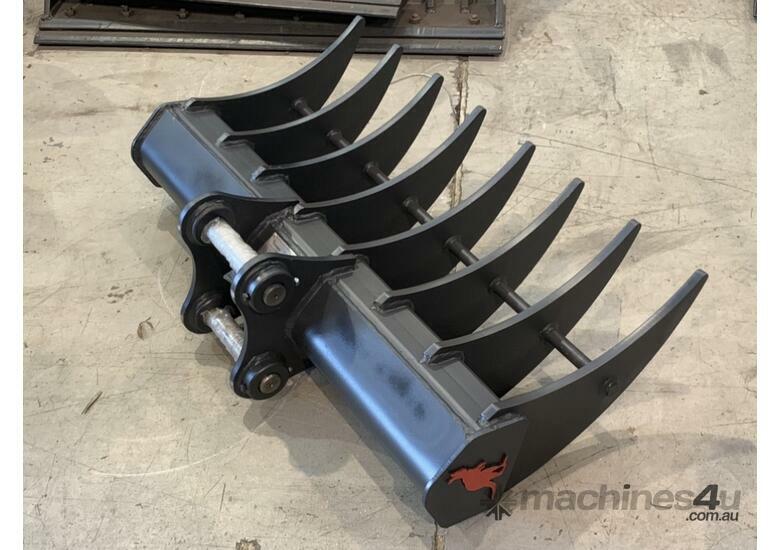 Pin diameter 35 and 40mm available, pin centres and ear spacing to suit all machine specs. 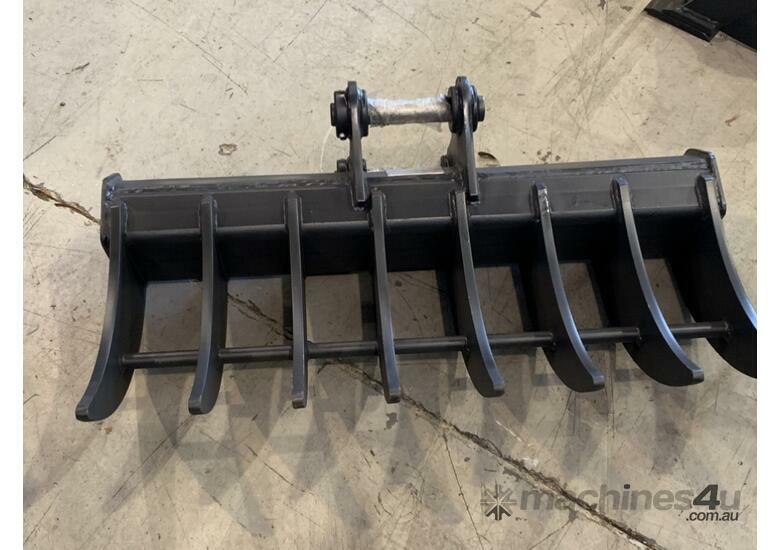 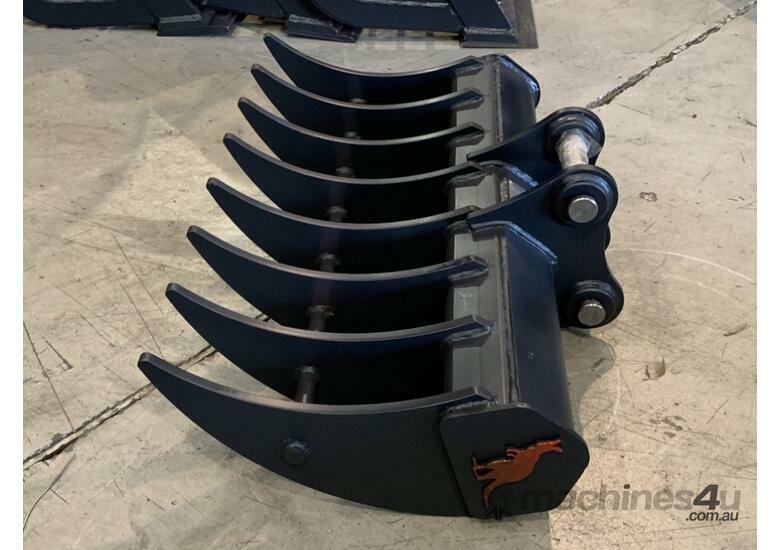 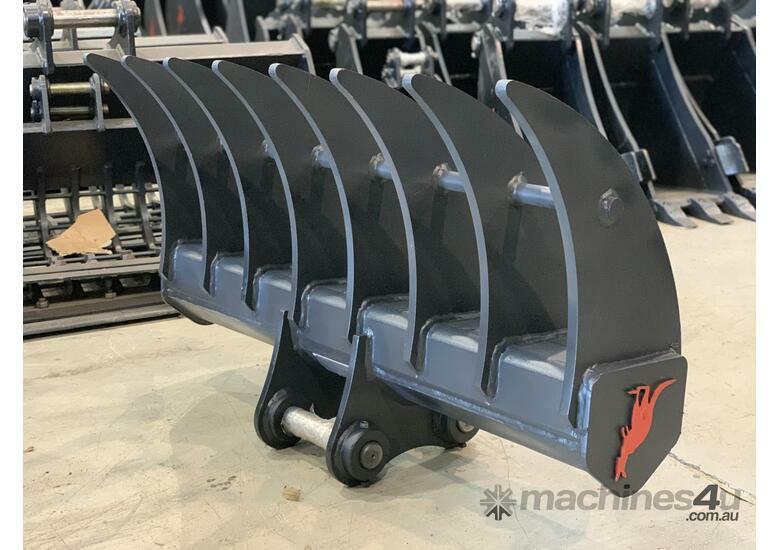 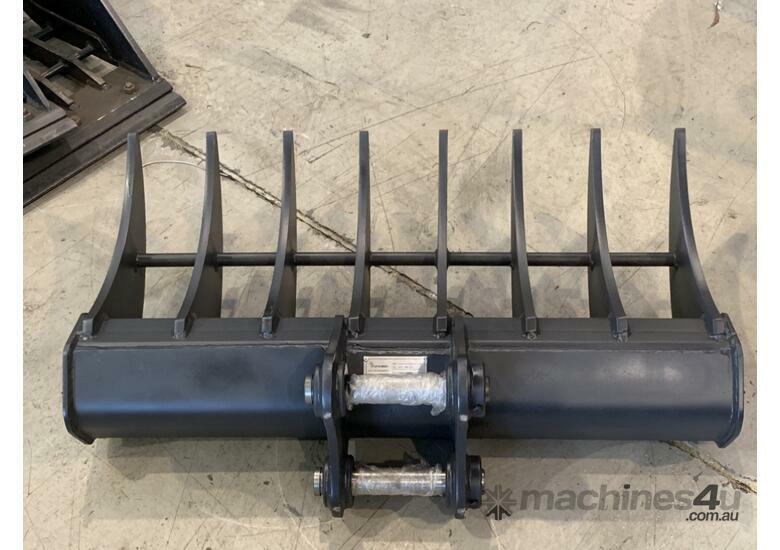 Roo Attachments Rakes are of robust design and all made from genuine Bisalloy Q&T plate to ensure they last a very long time. 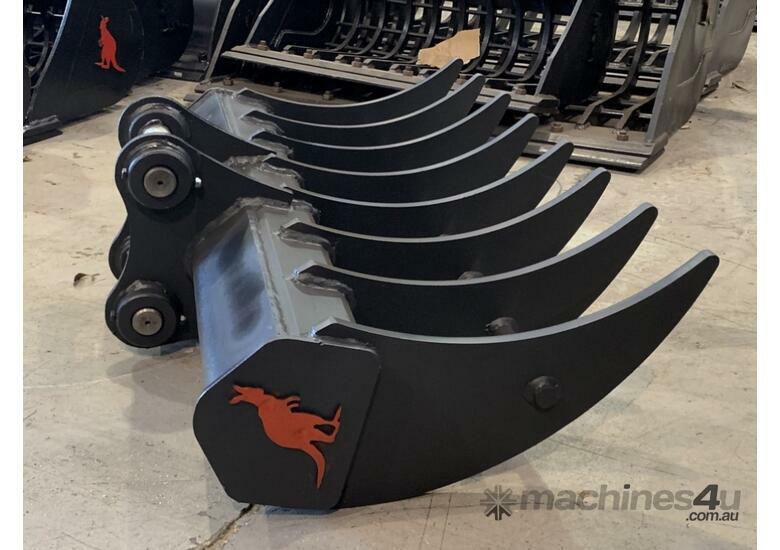 These buckets are all engineered to ensure efficient digging for the operator's double radius design, minimal drag, maximum efficiency. 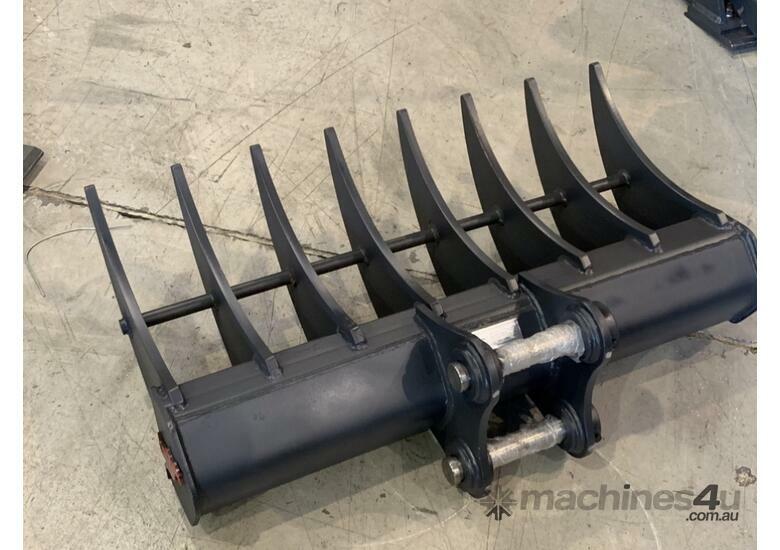 Pins and bushes are included in the listed price. 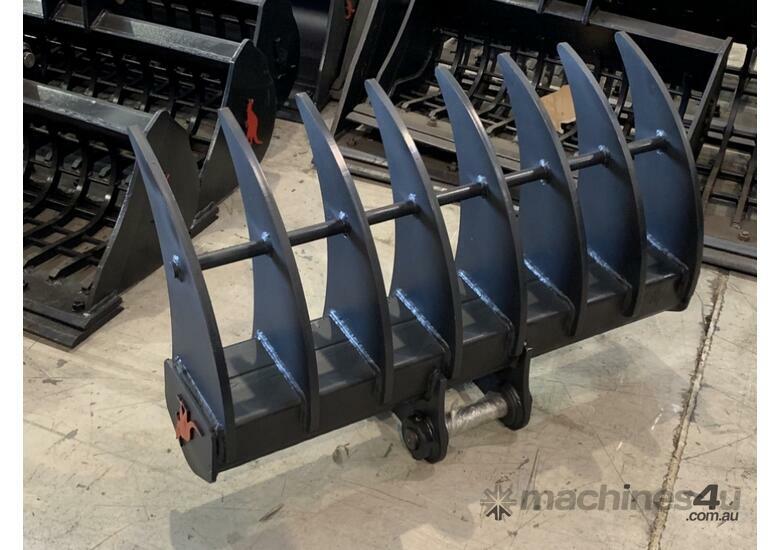 Please call us to discuss shipping options and costs. 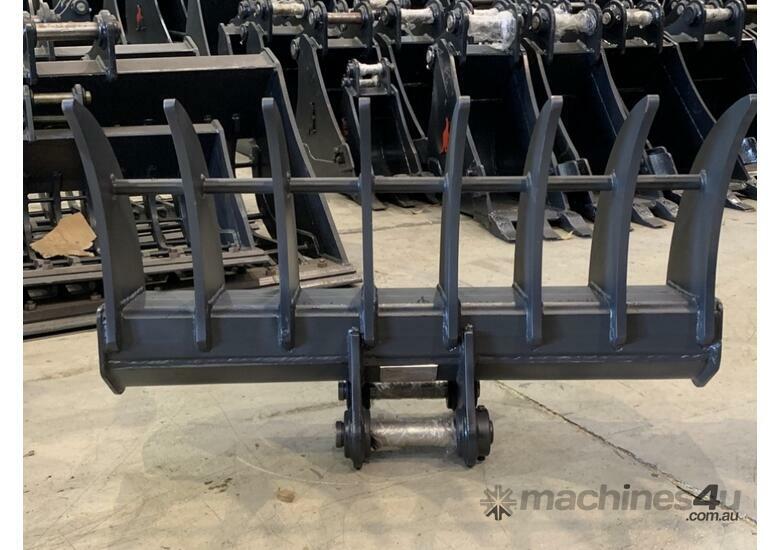 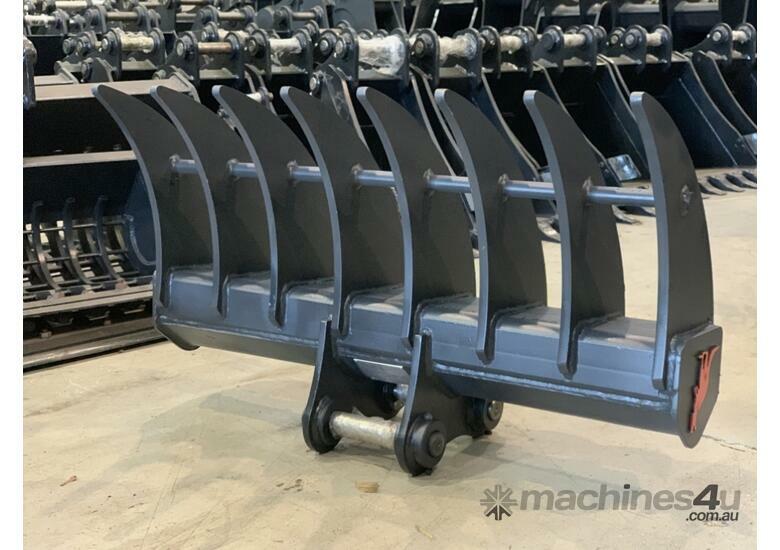 We stock Stick Rakes to suit 4 to 20 ton machines and make to order up to 120T.